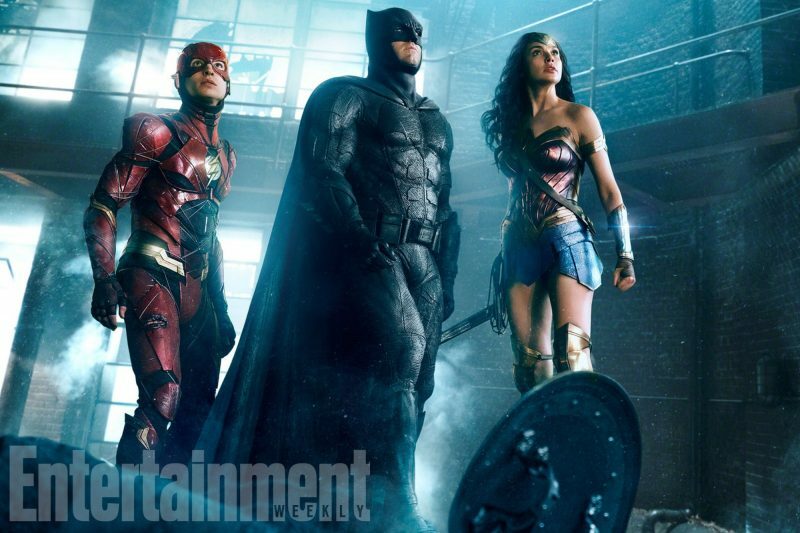 Entertainment Weekly has released a new photo from the upcoming Justice League film showing Batman, The Flash, and Wonder Woman standing together looking up at what I can only guess is Superman reappearing based on their facial expressions. Justice League is set to release on November 17, 2017 with Ben Affleck, Henry Cavill, and Gal Gadot reprising their roles as Batman, Superman, and Wonder Woman, respectively. New to the cast will be The Flash, who will be played by Ezra Miller, Jason Mamoa as Aquaman, and Ray Fisher as Cyborg.